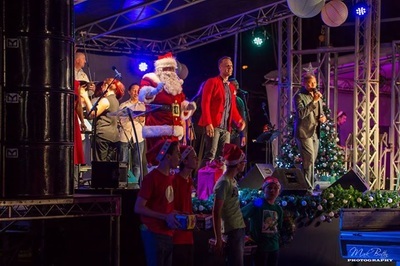 Belmont Santa Studio has been involved with Bravehearts Children's Charity for a number of years as a registered charity partner. In addition to raising much needed funds for Bravehearts, we have been involved in Charity Days and work within the community and local schools in helping raise the awareness of Child Sexual Assault and the implementation of Bravehearts "Ditto Awareness Programmes". During this time we have proudly been chosen to receive several awards for our efforts and continued charity work. 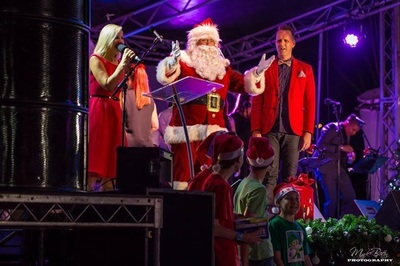 Our dedication to providing the best Santa Experience for children and families alike has also led to our Santa being asked to appear at the Lord Mayors Christmas Carols as well as the Wakerley Community Christmas Carols each year​.​ We are proud to have Brisbane's best and jolliest Santa in residence each year. Pictured is our Santa appearing at the Wakerley Christmas Carols 2014. 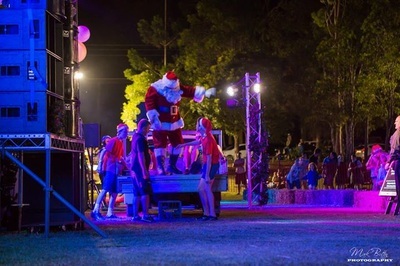 Santa has appeared at the Wakerley Christmas Carols in 2013 - 2017 as well as appearing in the promotional videos on the giant video screen during the carols. 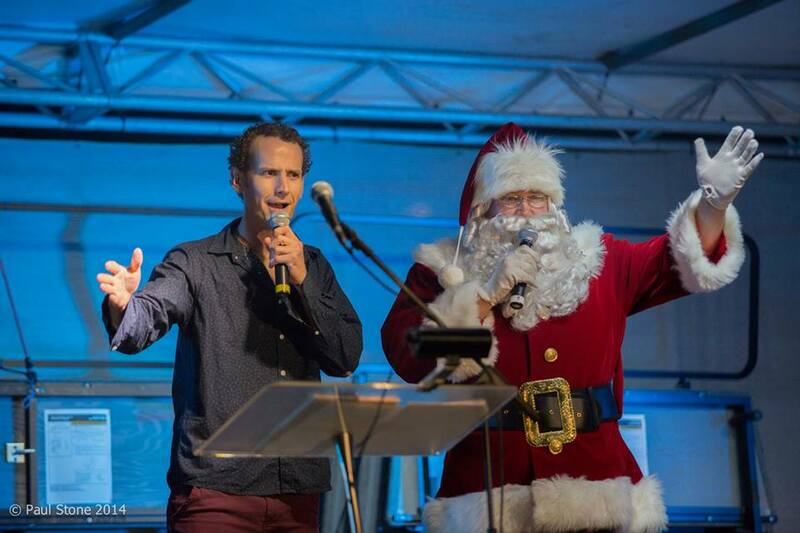 Santa will also be appearing at this year's Wakerley Christmas Carol's! 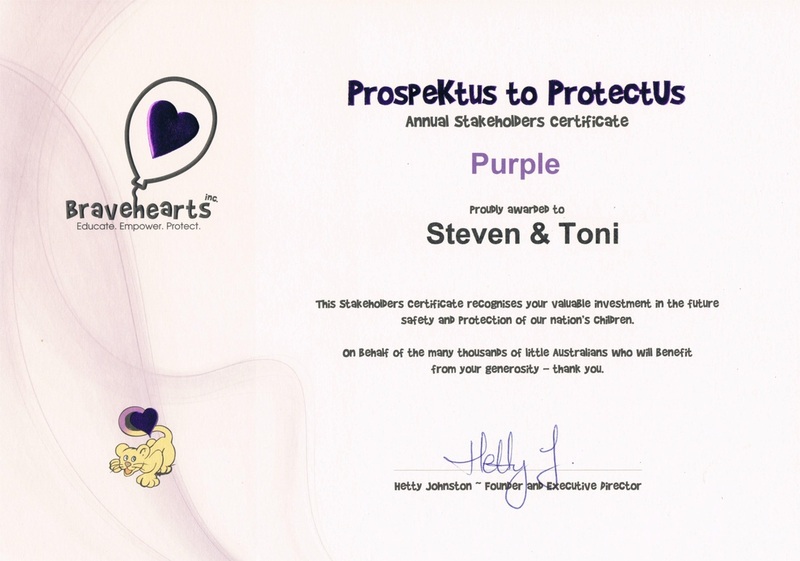 Belmont Santa Studio has been awarded the "Purple" Prospektus to Protectus by Bravehearts Children's Charity. This award was in recognition of our continued fundraising efforts and support of Bravehearts. 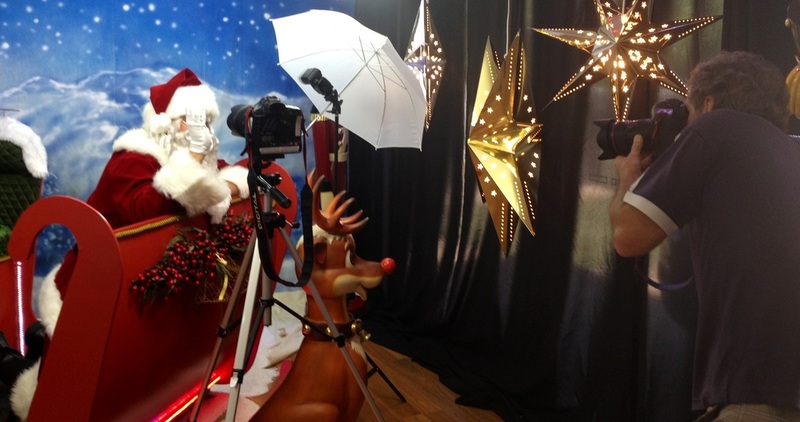 Santa and a News Limited Photographer - taking another photo for a story about the Belmont Santa Studio and our charity work in one of the numerous newspaper articles we have appeared in. 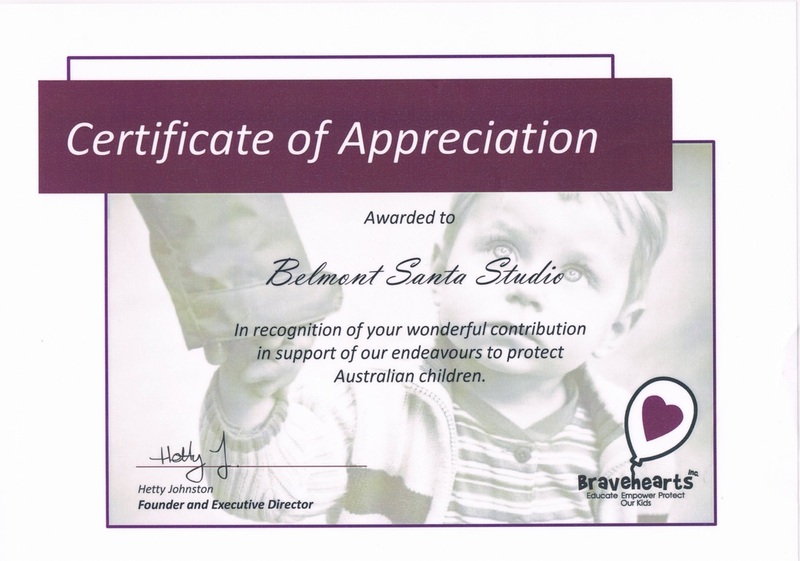 Belmont Santa Studio has received a "Certificate of Appreciation" from Bravehearts Children's Charity. This award was in recognition of our ongoing and continued community support of Bravehearts endeavors to protect Australian Children. 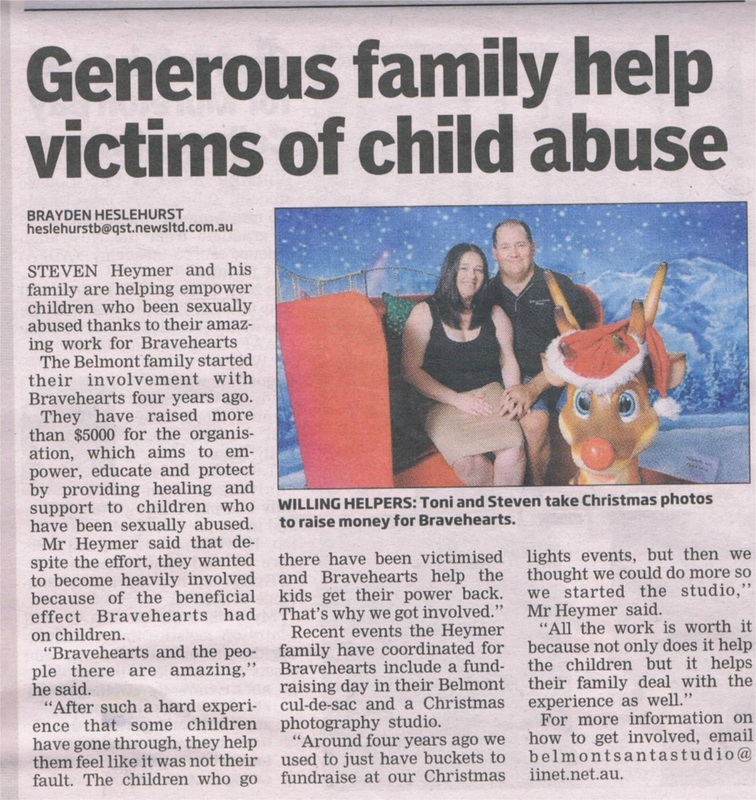 This article appeared in the Courier Mail as well as all of the Local Newspapers 2012. 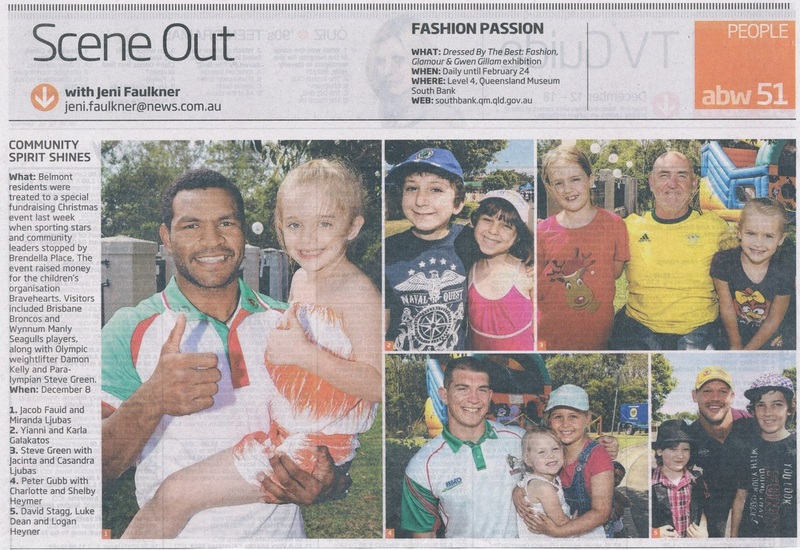 Newspaper Clipping from the Courier Mail & Local Quest Community News Papers.